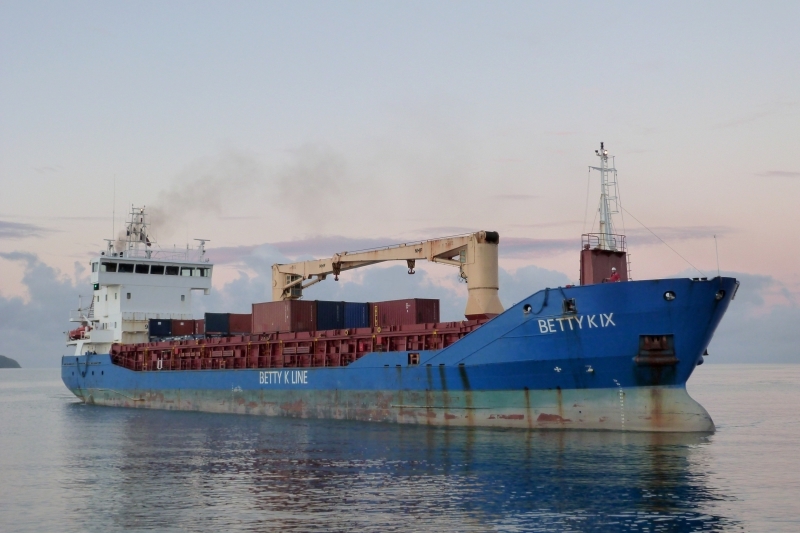 General cargo ship BETTY K IX (IMO9280718), used as containers feeder, arriving at Fort de France with the first daylights of March 3rd 2018. Seem to be running feeder for CMA CGM. Been noticing her movements on marine Traffic for a while now. Good Capture.